There is no single, unified real estate market. Instead, real estate markets function on a micro level. This means that the supply and demand in one city will vary from the next town over, or even the next neighborhood. Learning about the market trends in the area in which you intend to buy can help you figure out whether it is the right time to buy. Most experienced real estate agents track this closely, so they can provide you with professional guidance. This is, arguably, the single most important element of any property purchase. If you will be getting a mortgage, the lender will go over your finances with a fine-toothed comb — and your financial situation will play a big role in your loan’s terms — so it’s important to make sure everything is in order before applying. You’ll want to be sure your debt-to-income ratio is within reasonable limits, your credit score is good, and you have enough saved up for a down payment and closing costs. If you don’t know whether your finances are in good enough shape, you can go over everything with a lender without needing to commit to a loan. Often, going from renting to ownership means upgrading to a larger property. It generally also means larger monthly expenses. Even if you have a good down payment, you’ll want to make sure you’re in a financially steady enough place to take on the taxes and other expenses that come with home ownership. Generally speaking, home ownership is something better entered into when life is more or less stable. After all, there are no guarantees that you’ll be able to sell your home for a profit — or even just to break even — if you’ve only owned it for a year or two. Before you buy, consider whether you plan to stay in the area long enough to make the home buying process worth it. One of the few elements you won’t have much say over is mortgage interest rates. You can help yourself get a better rate by taking care of your finances, but this is the one part of home buying in which there is a national trend. Your lender can give you an idea about current trends and whether rates are anticipated to go up or not. The other key part of buying property is protecting it appropriately. A real estate lawyer can help ensure you are making a sound decision by checking over contracts, working with you through closing, and more. 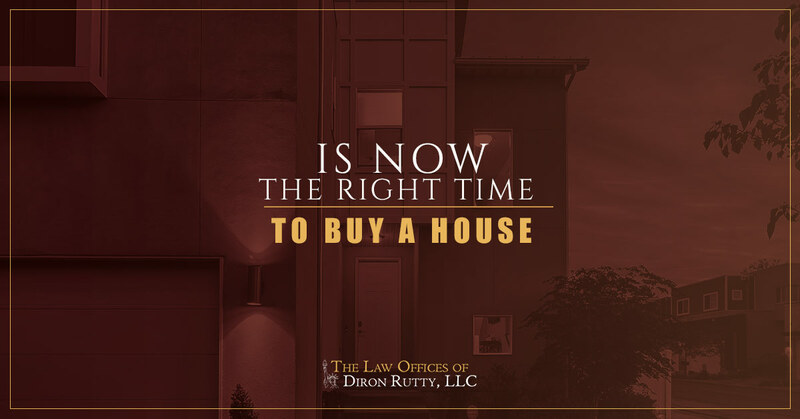 For real estate guidance in the Bronx or across New York City, contact the Law Offices of Diron Rutty, LLC and schedule your consultation today.